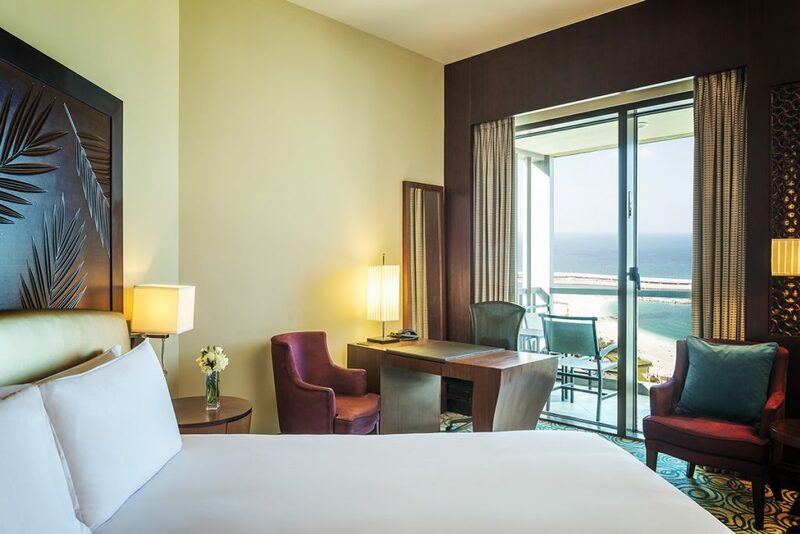 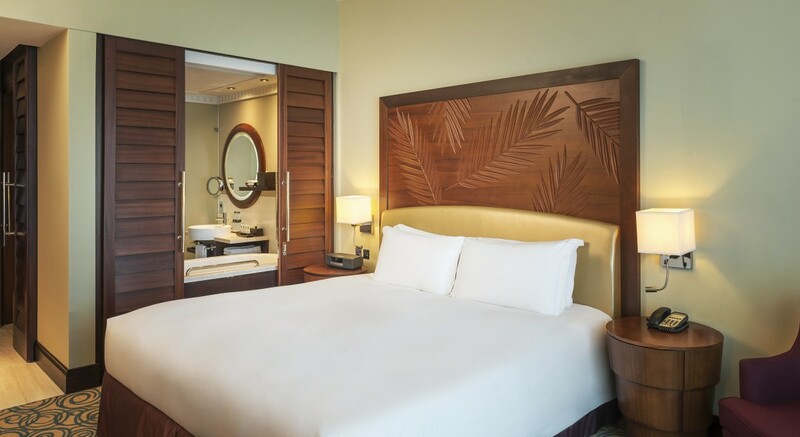 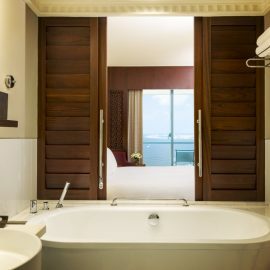 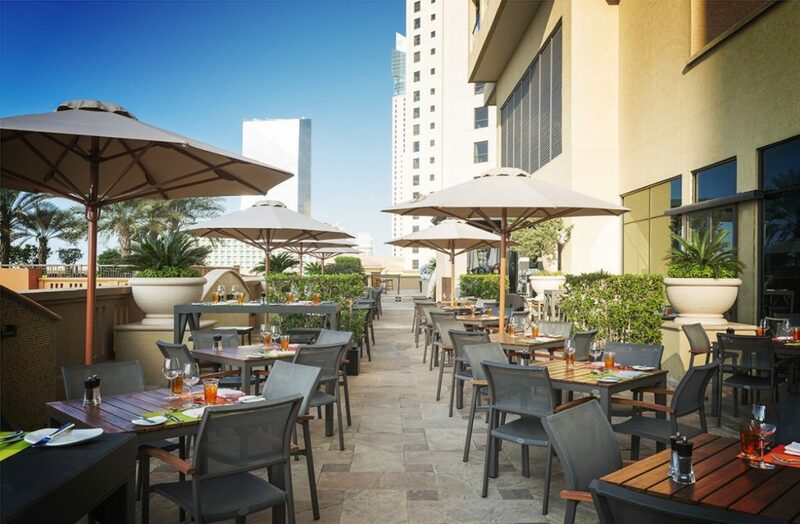 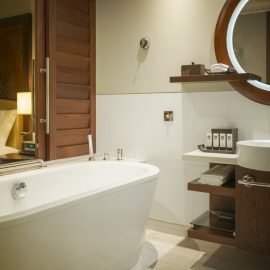 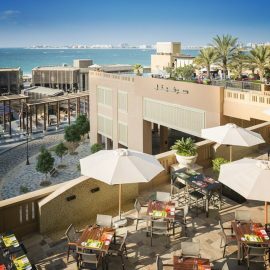 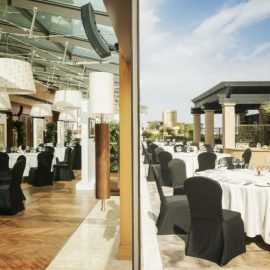 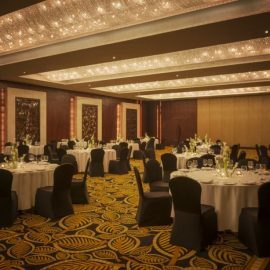 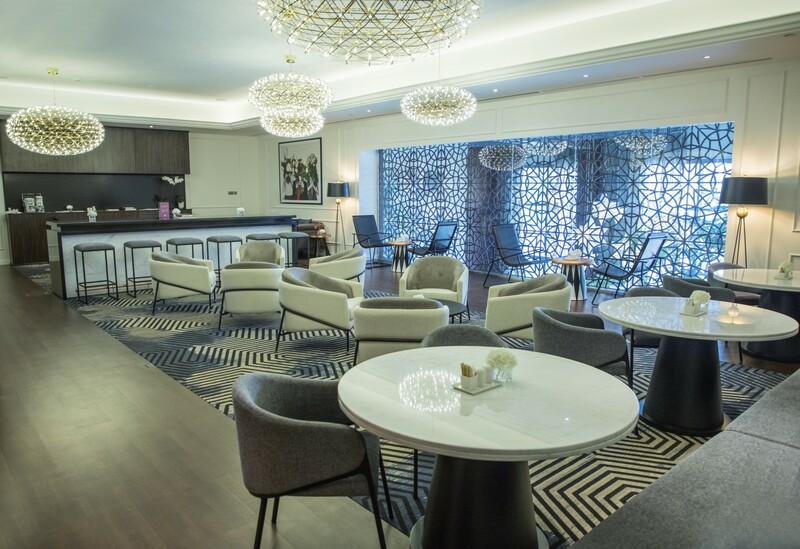 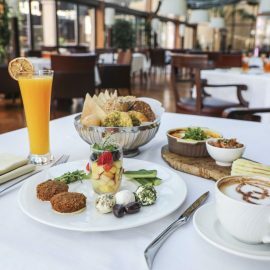 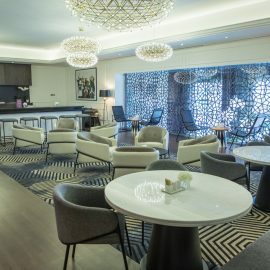 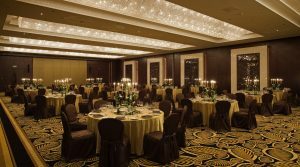 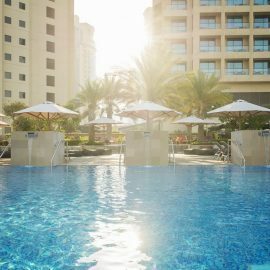 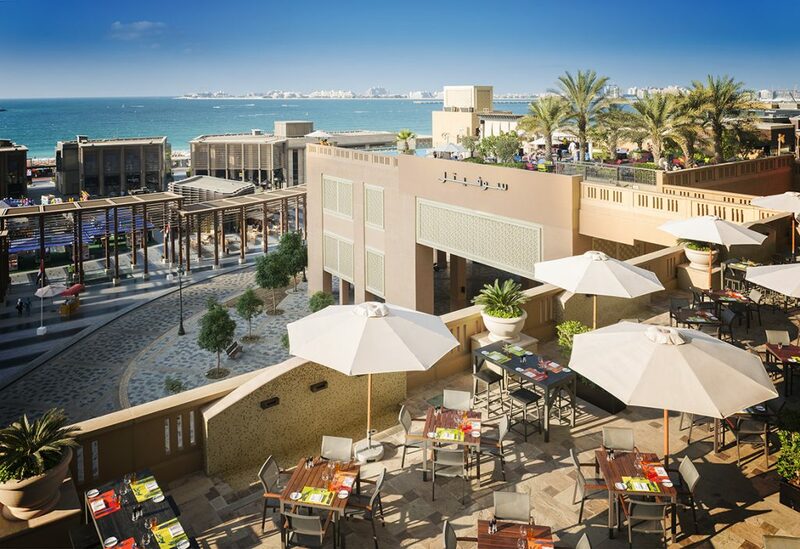 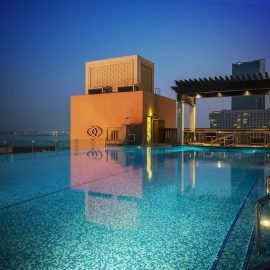 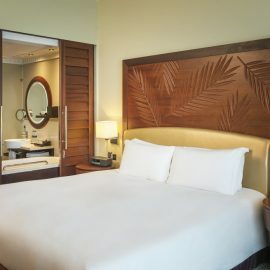 A luxury five-star hotel located in Jumeirah Beach Residence, Sofitel Dubai Jumeirah Beach opens directly onto Dubai’s most popular recreation promenade The Walk as well as the new beachfront low-rise leisure and retail destination The Beach. 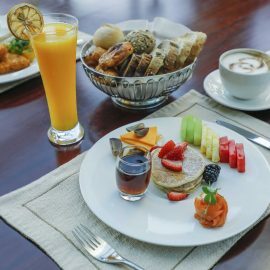 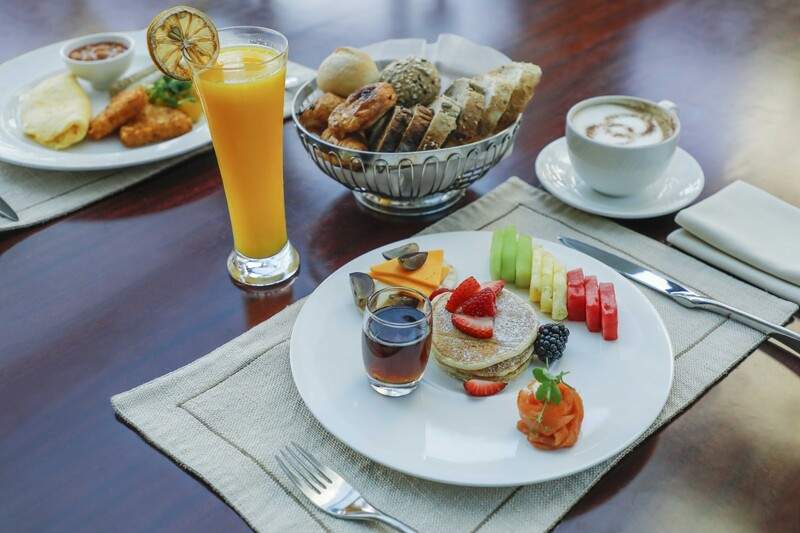 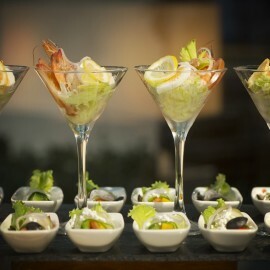 Luxury stays and culinary excellence are the hotel’s cornerstones. 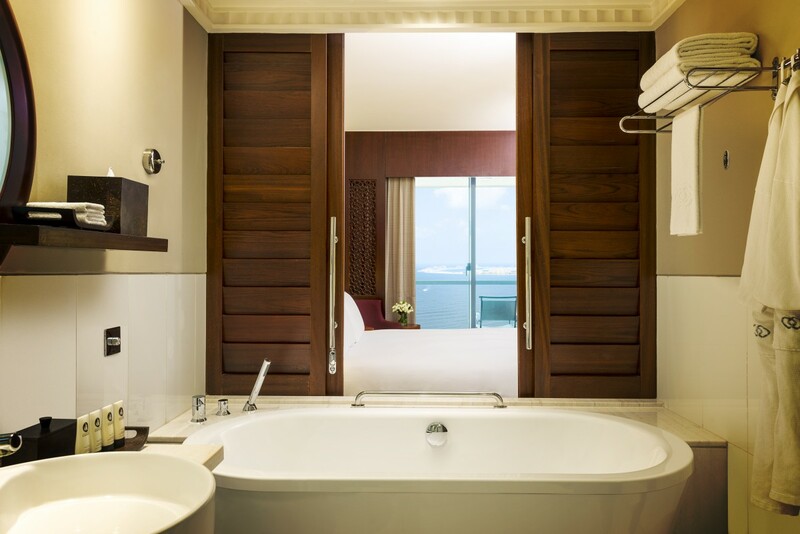 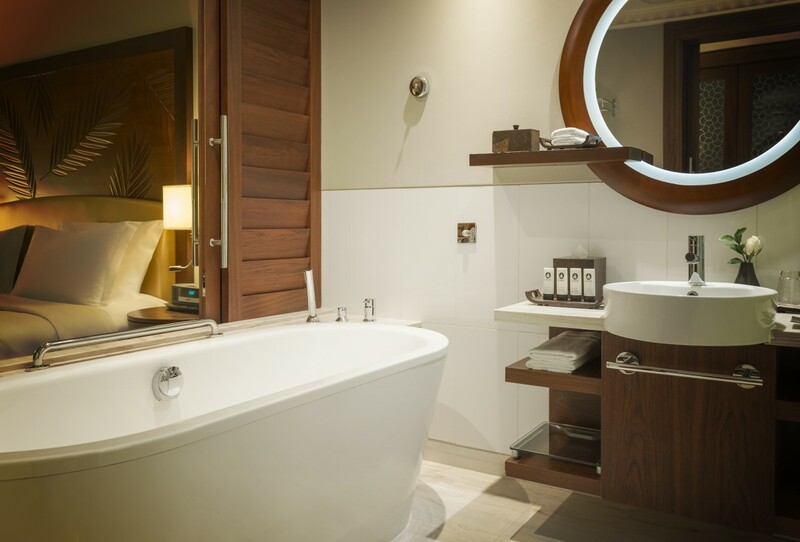 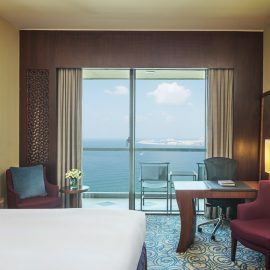 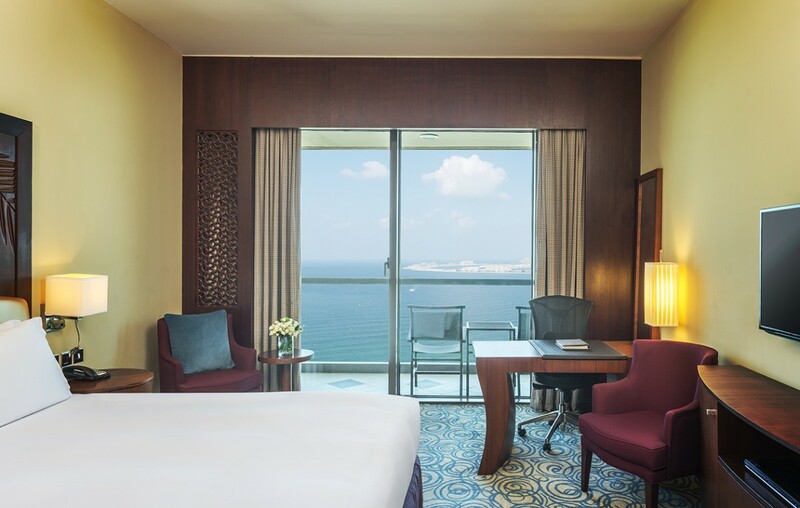 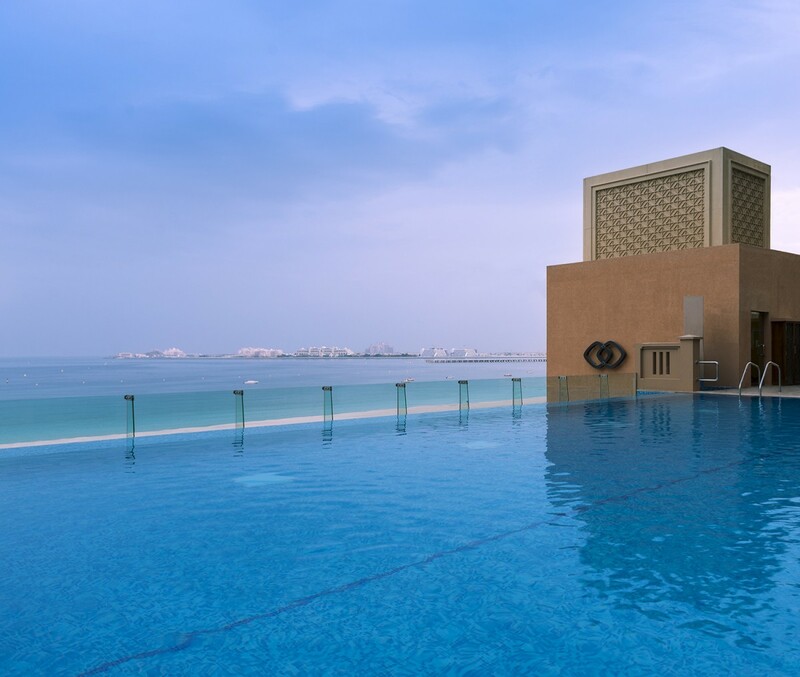 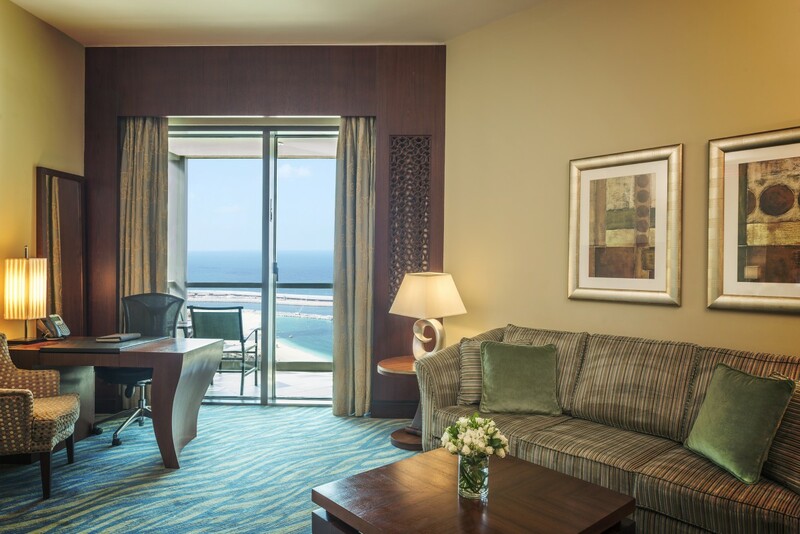 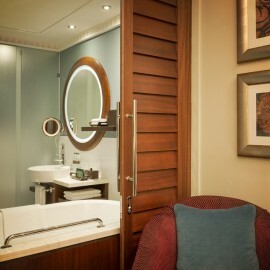 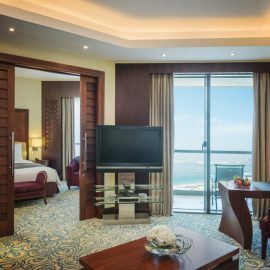 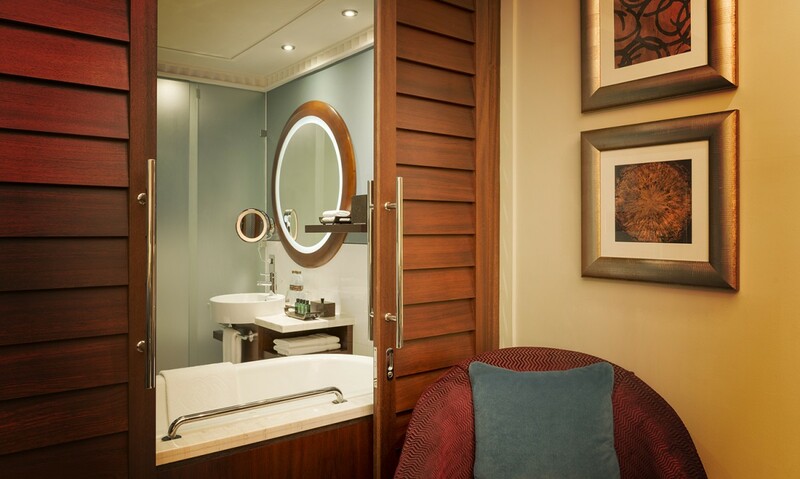 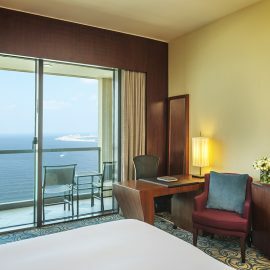 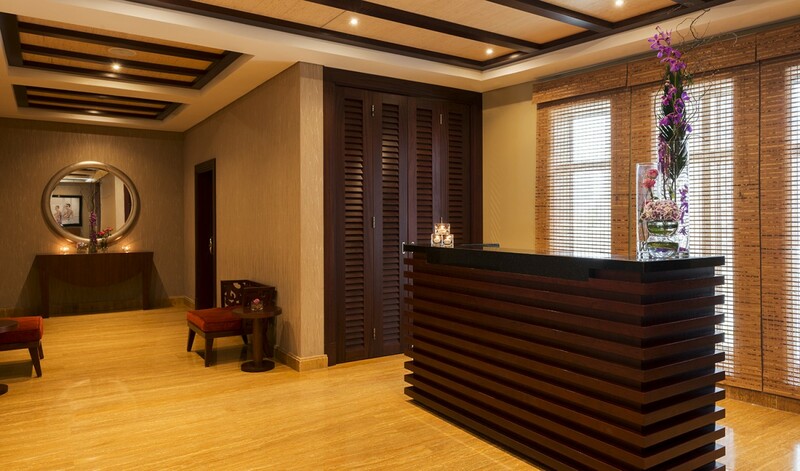 All 443 rooms and suites overlook the azure waters of the Arabian Gulf and Al Ain Dubai. 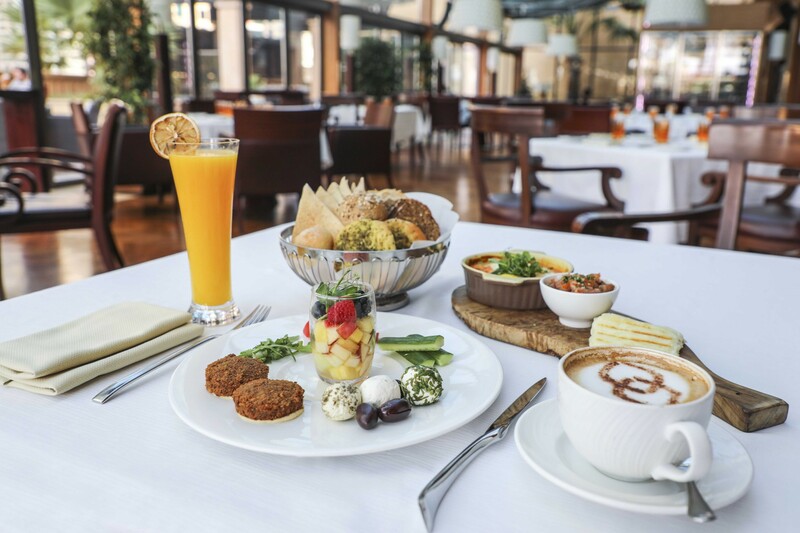 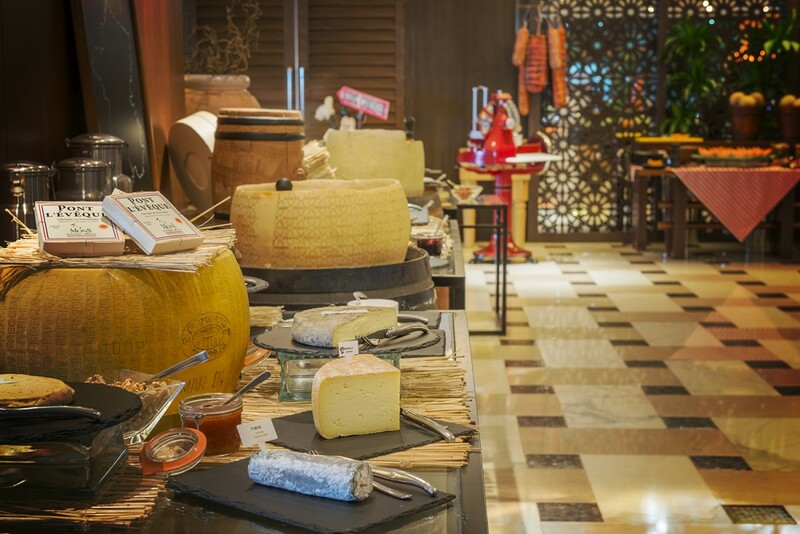 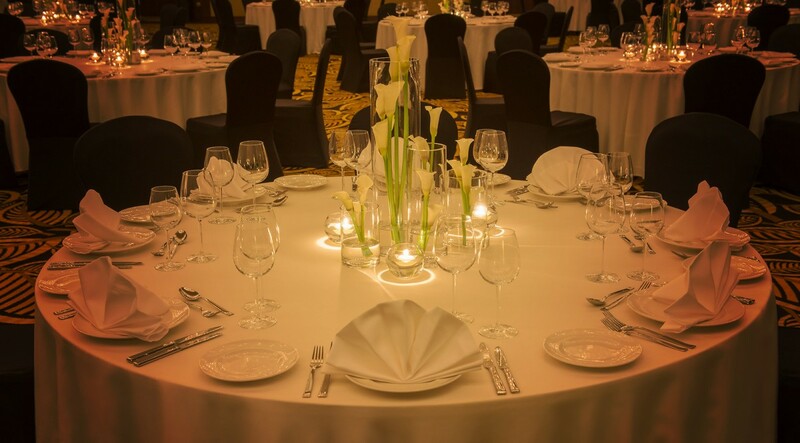 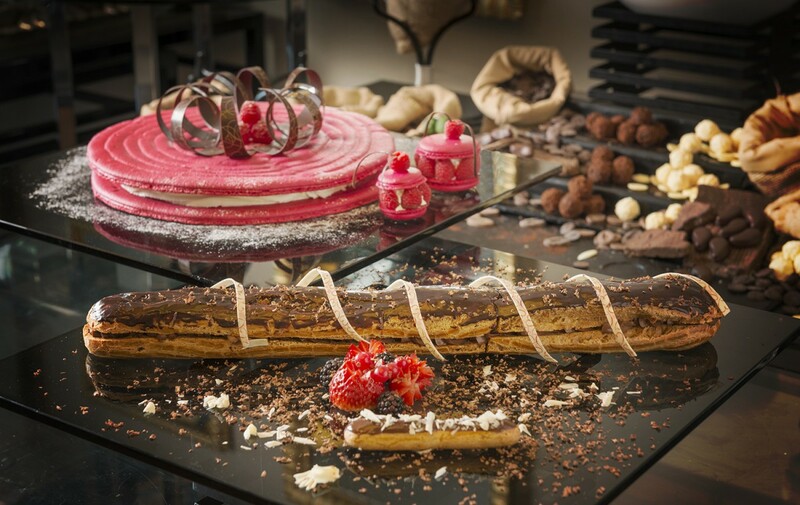 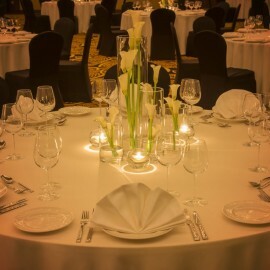 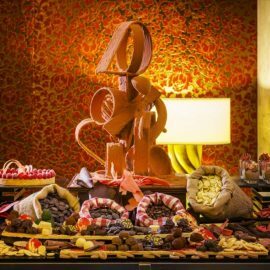 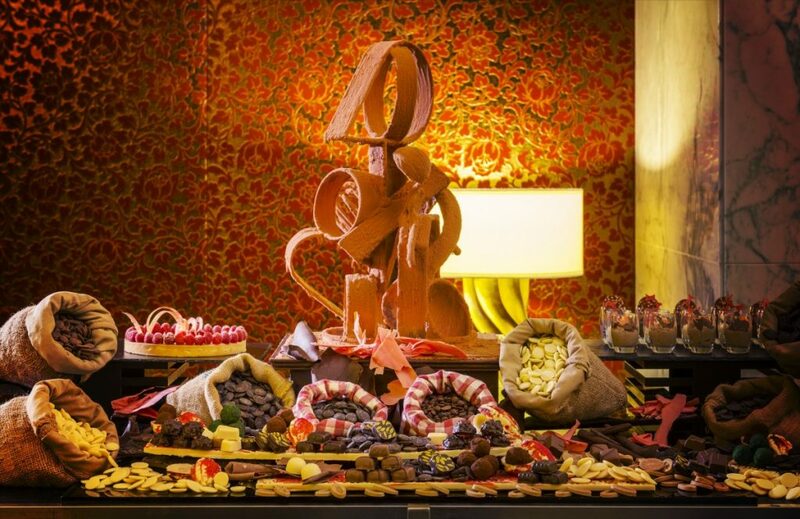 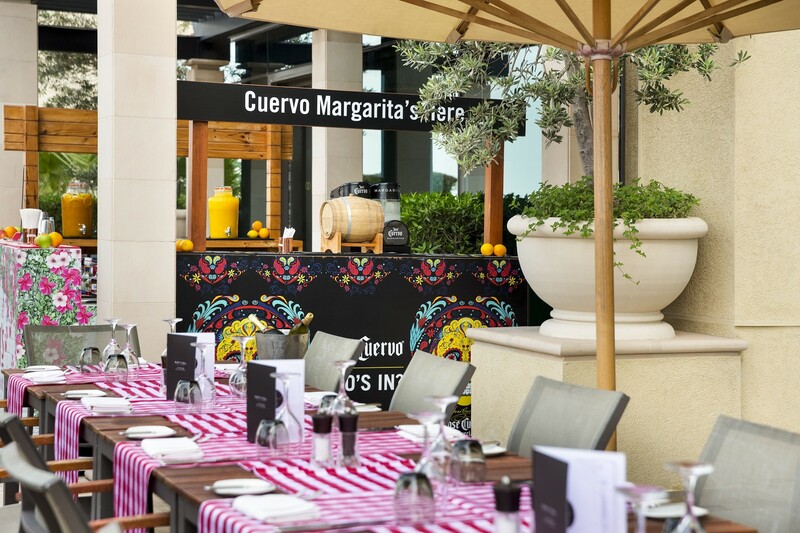 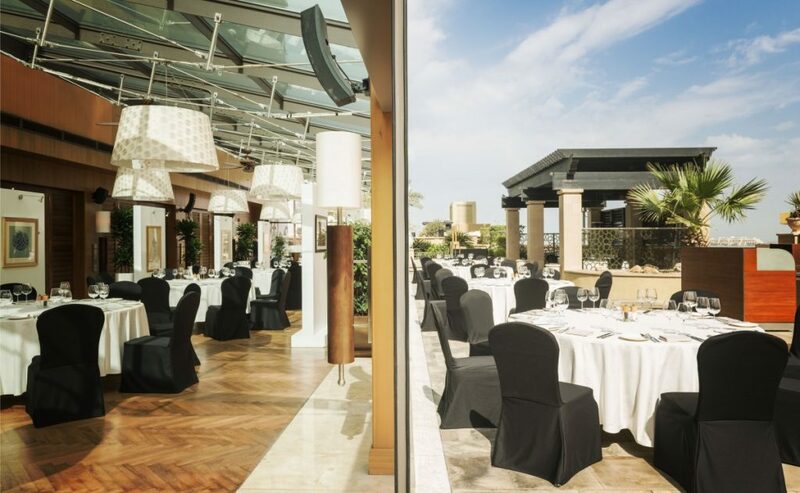 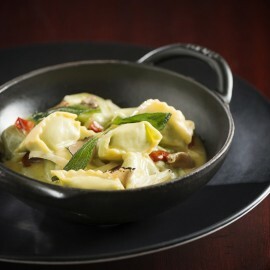 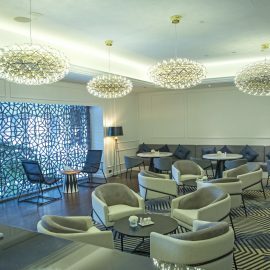 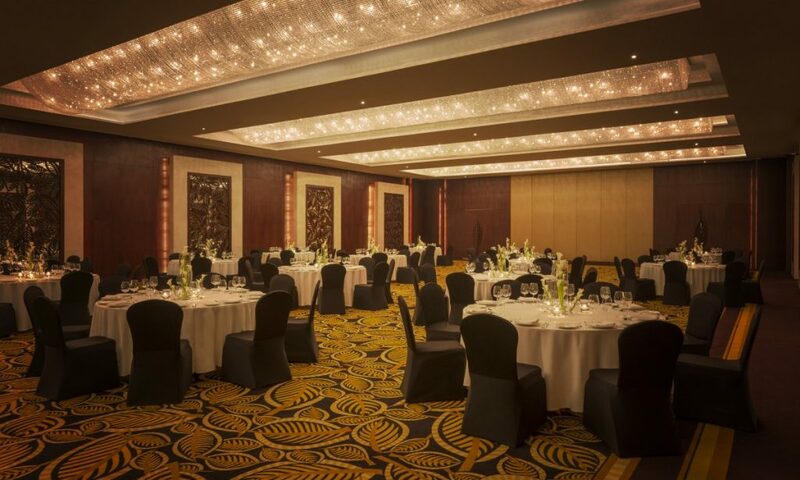 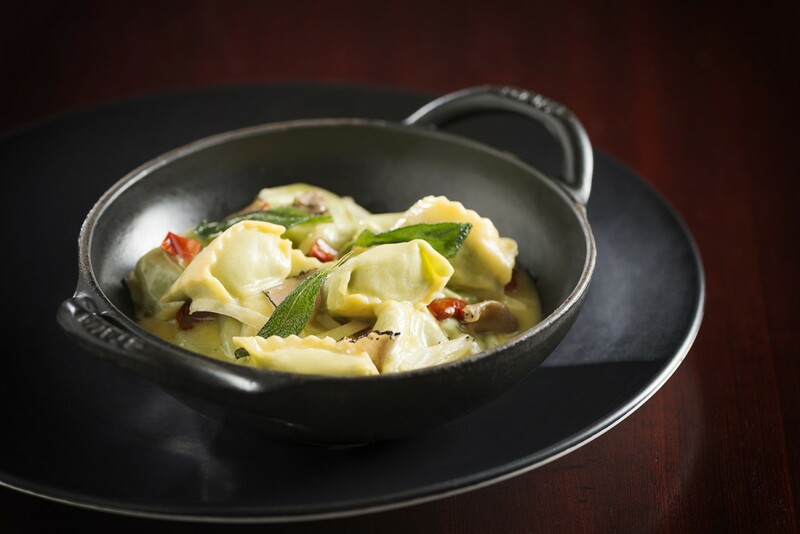 Guests can indulge in exquisite international flavours from A.O.C. 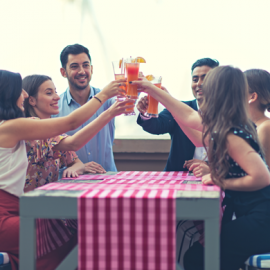 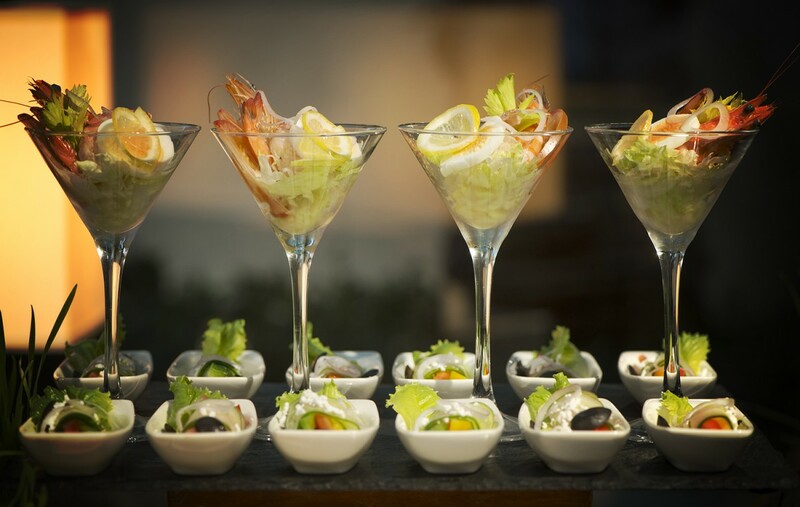 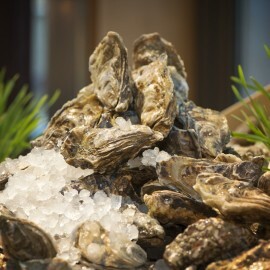 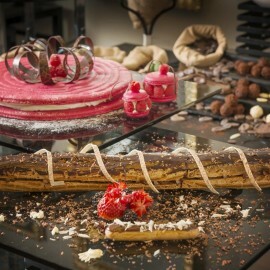 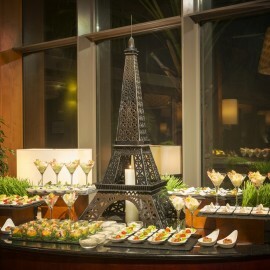 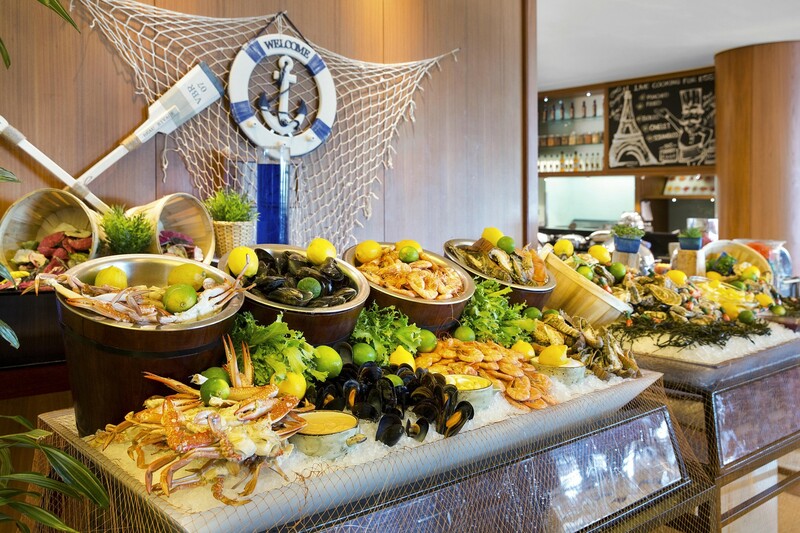 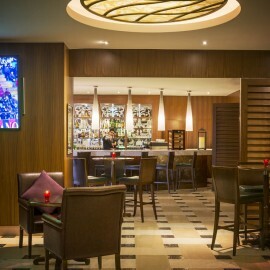 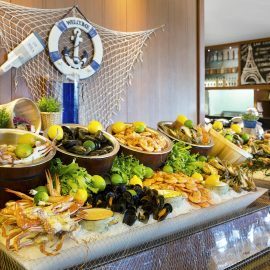 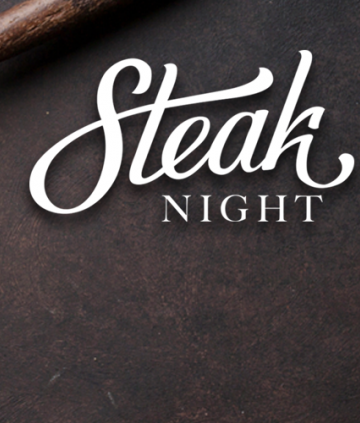 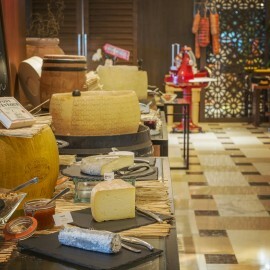 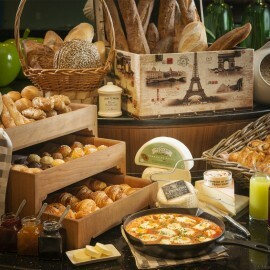 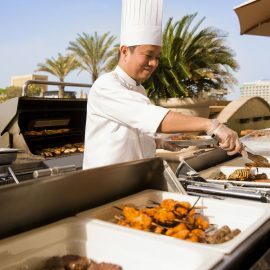 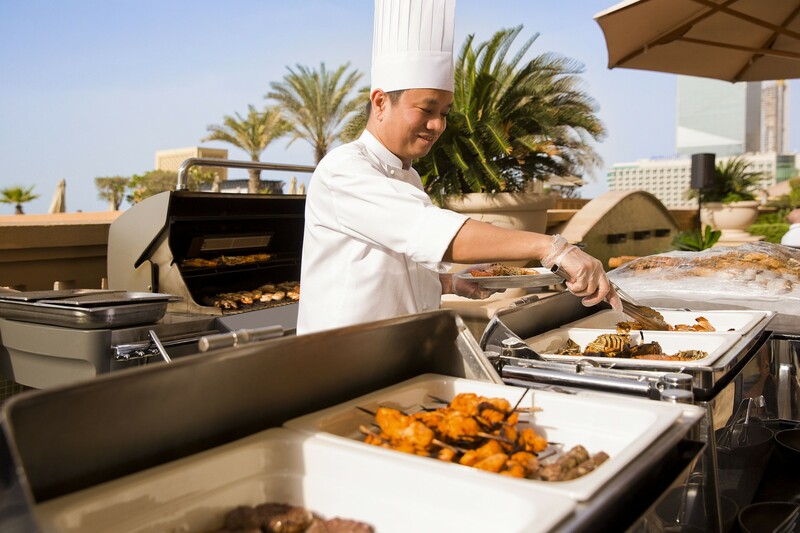 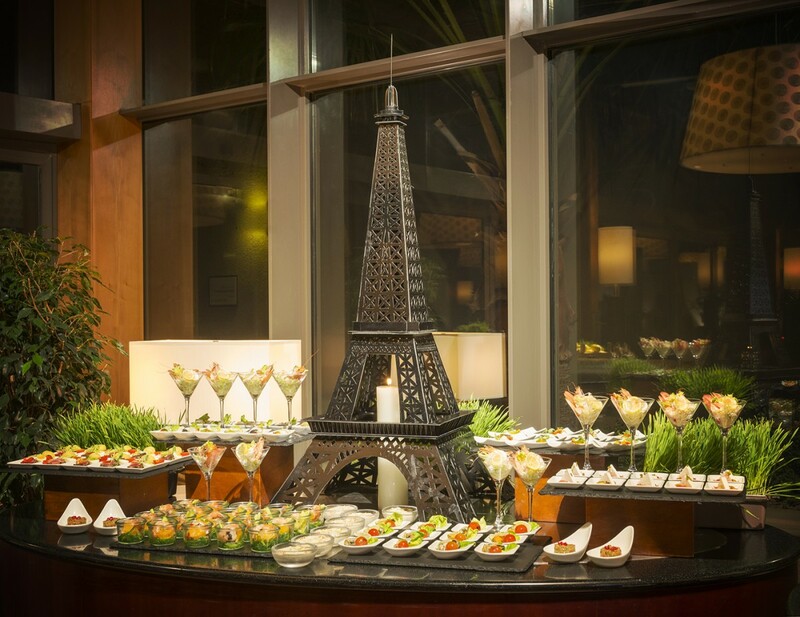 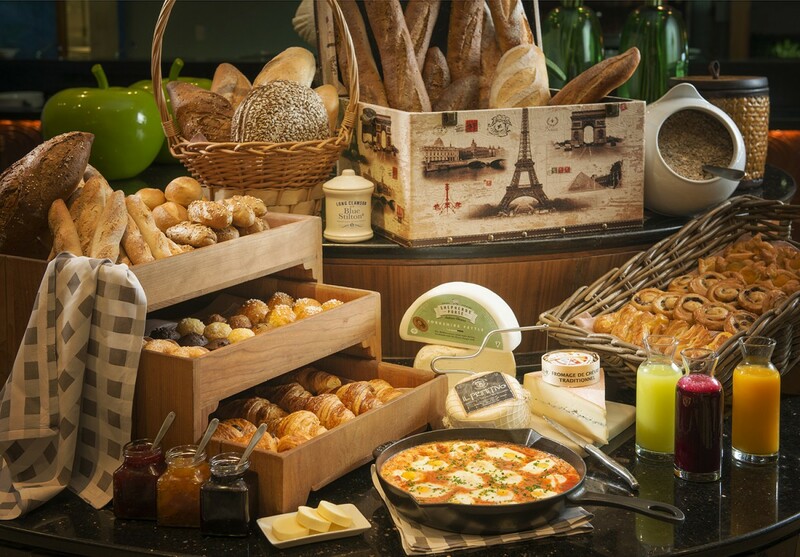 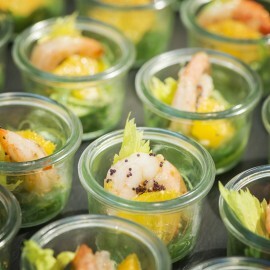 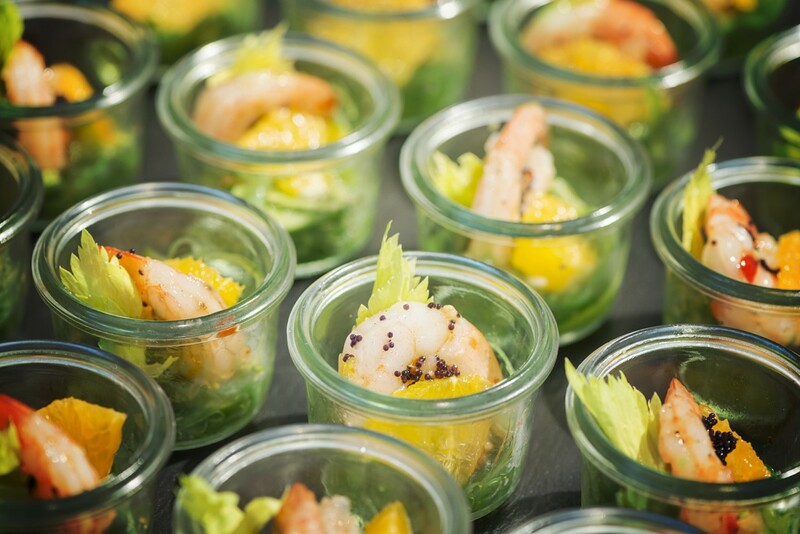 International Buffet to Plantation Brasserie, Bar & Terrace, Infini Pool Lounge and Café Concierge. 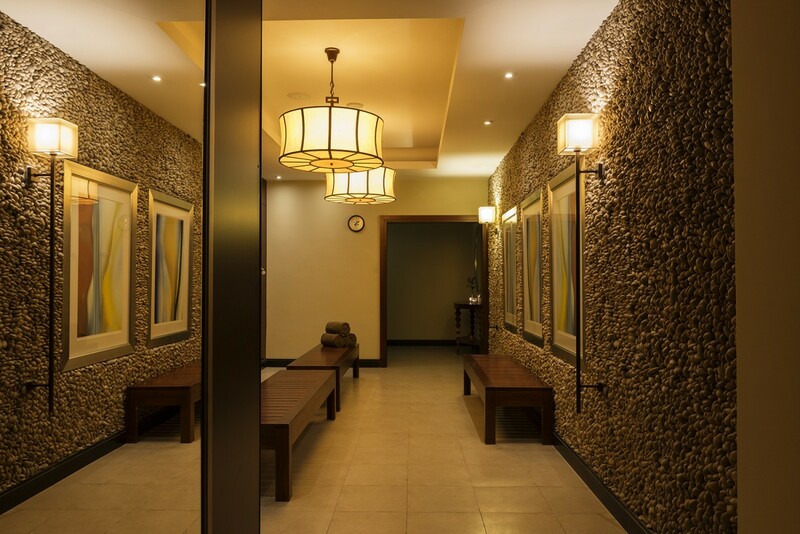 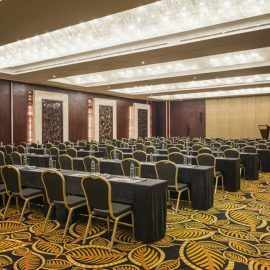 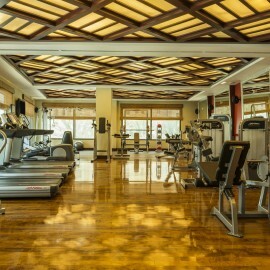 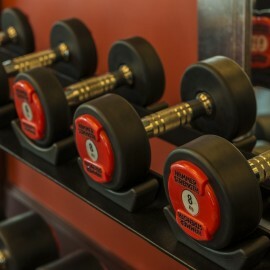 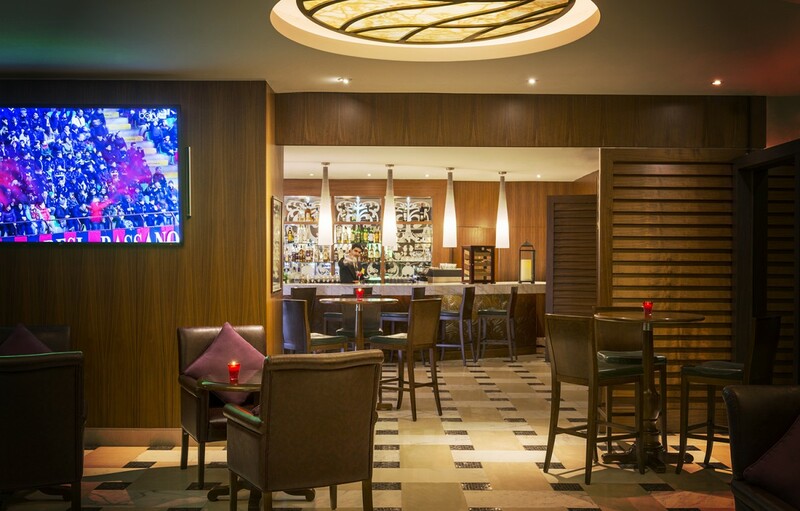 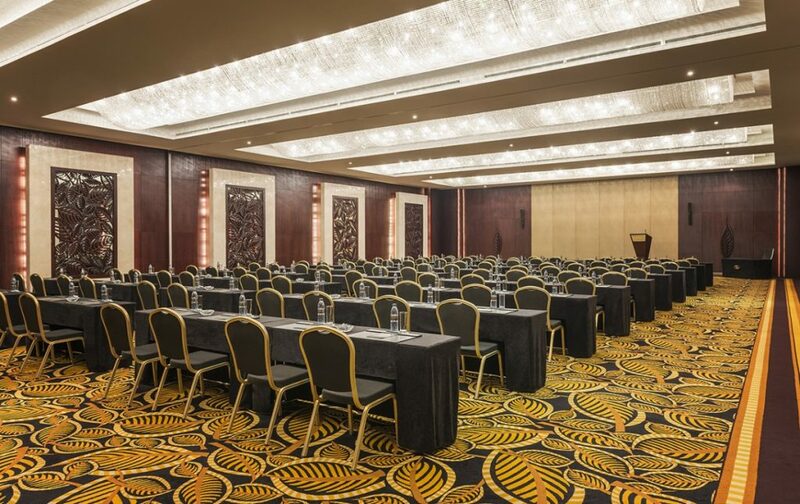 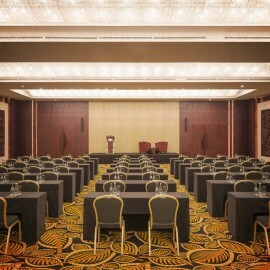 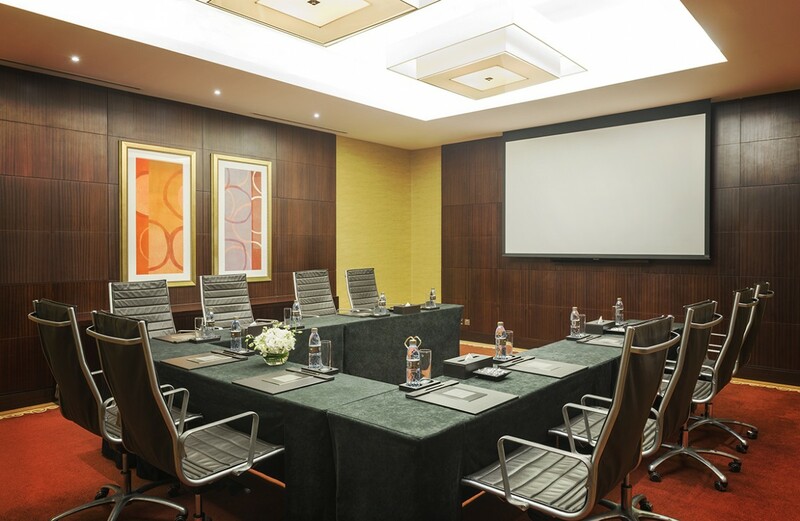 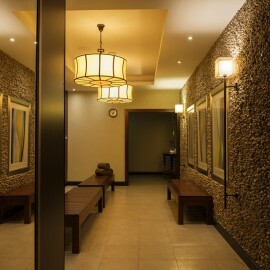 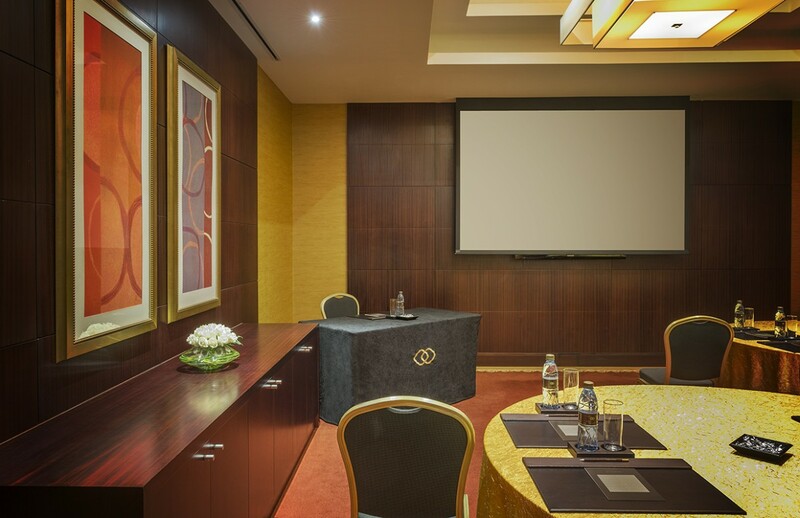 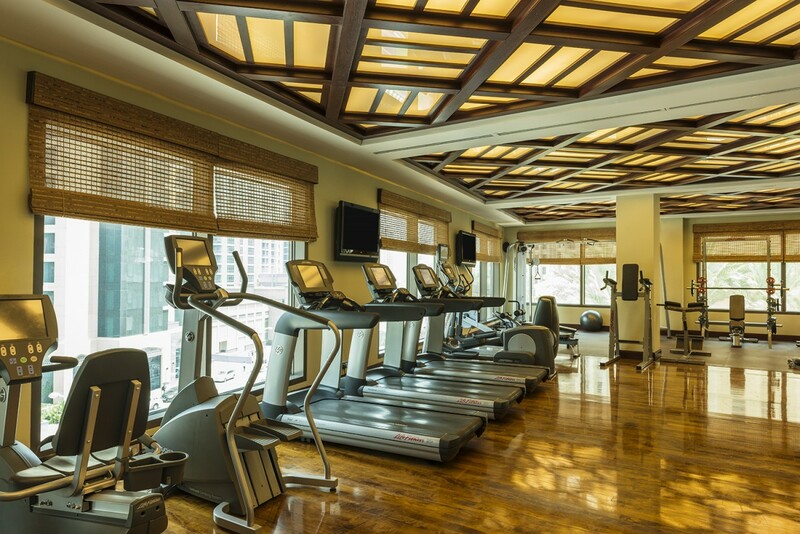 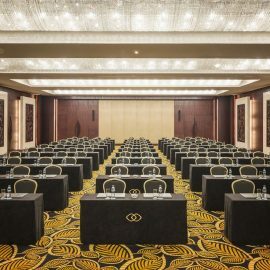 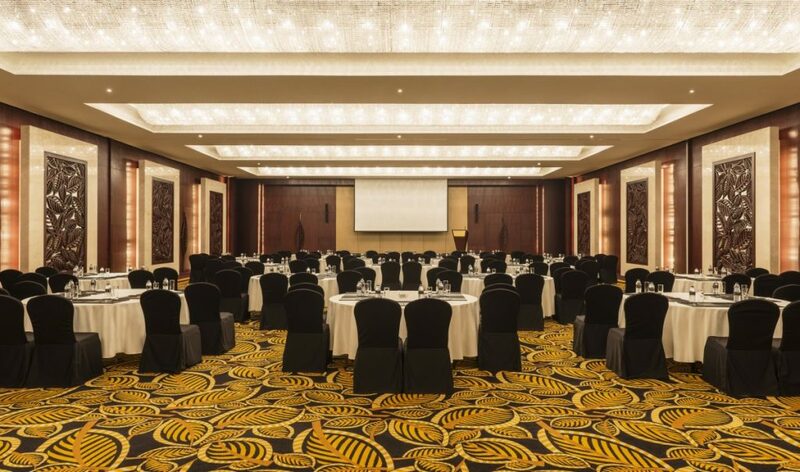 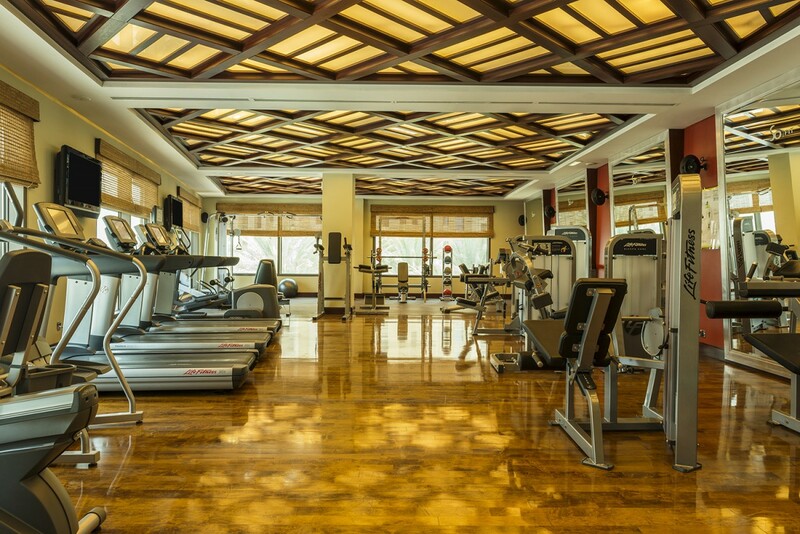 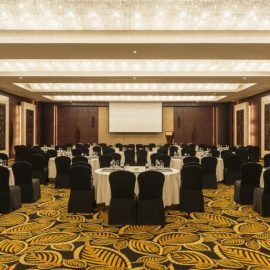 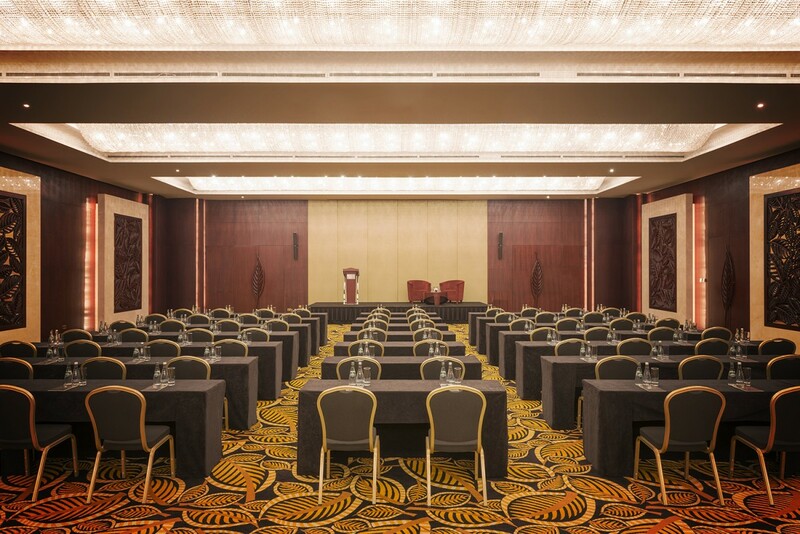 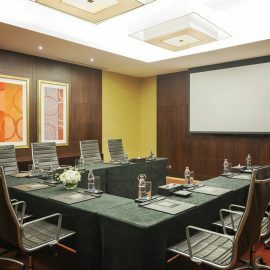 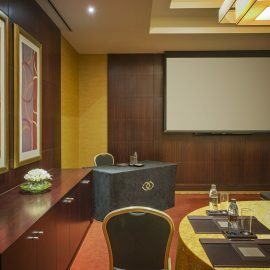 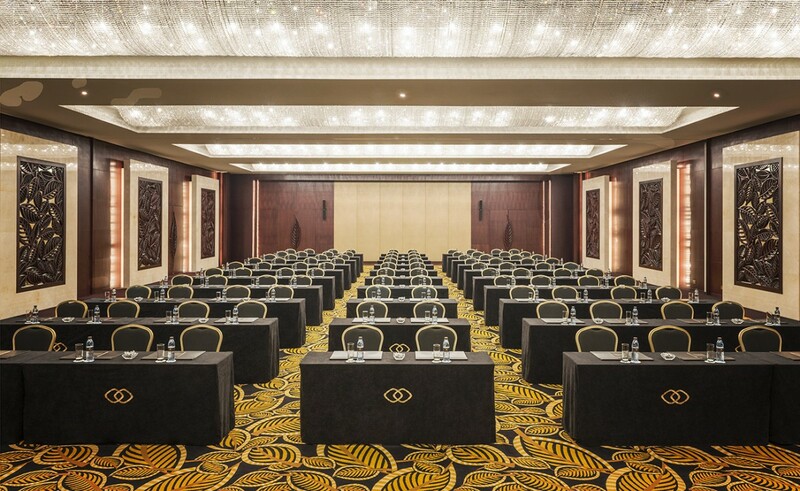 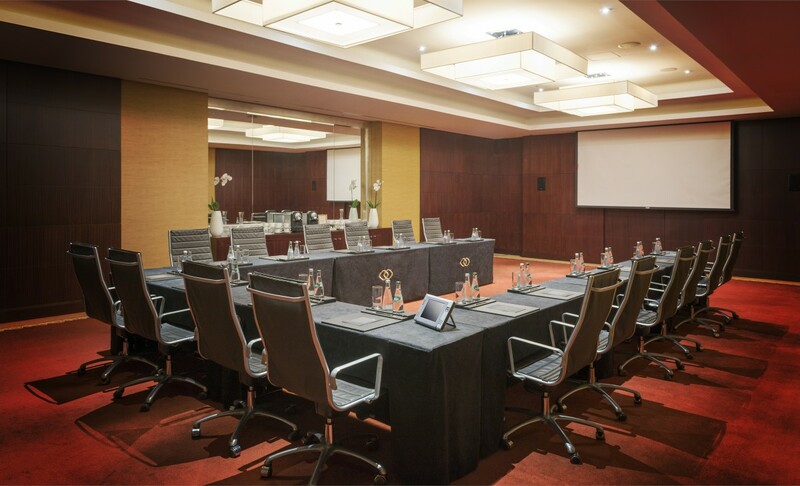 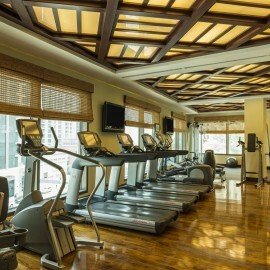 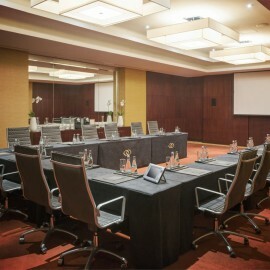 The hotel’s leisure facilities extend to SoFIT fitness centre and Magnifique Meetings features a well-equipped business centre and function rooms dedicated to business facilities. 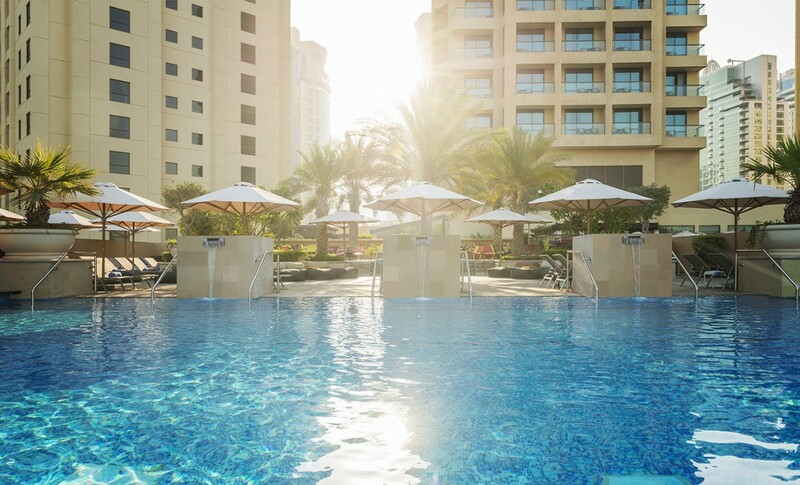 Infini Pool will be closed for an upgrade between 29 April to 3 June 2019. 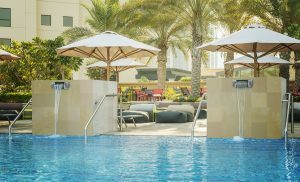 During this renovation period, we will provide all Sofitel Dubai Jumeirah Beach Hotel guests a complimentary access to the Address Dubai Marina Hotel swimming pool from 7 am to 8pm, located only 2 km distance from the hotel. 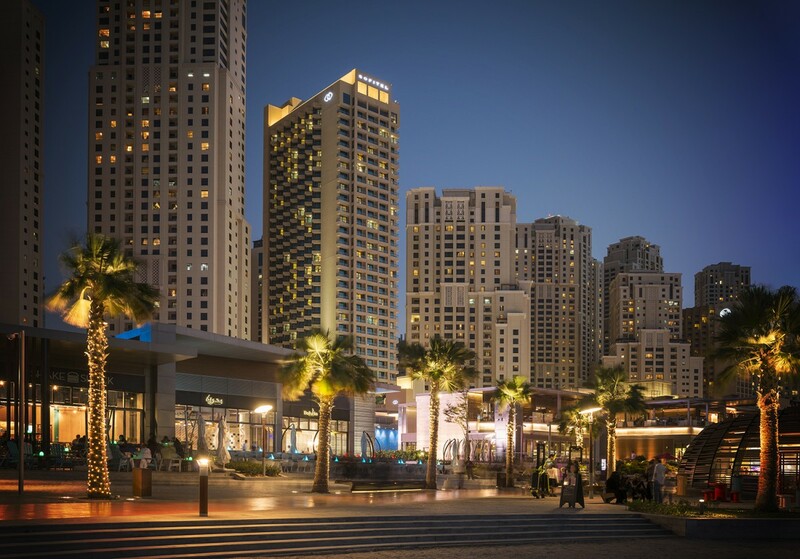 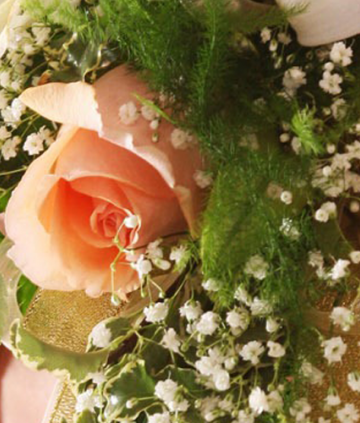 Scheduled shuttle transport to the Address Dubai Marina Hotel will be available for the guests. 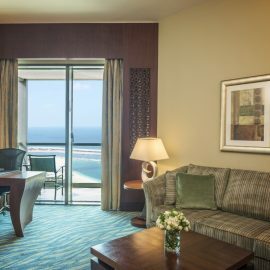 Guests are also encouraged to enjoy and take advantage of Sofitel Dubai Jumeirah Beach direct access to the sandy open beach across the hotel. 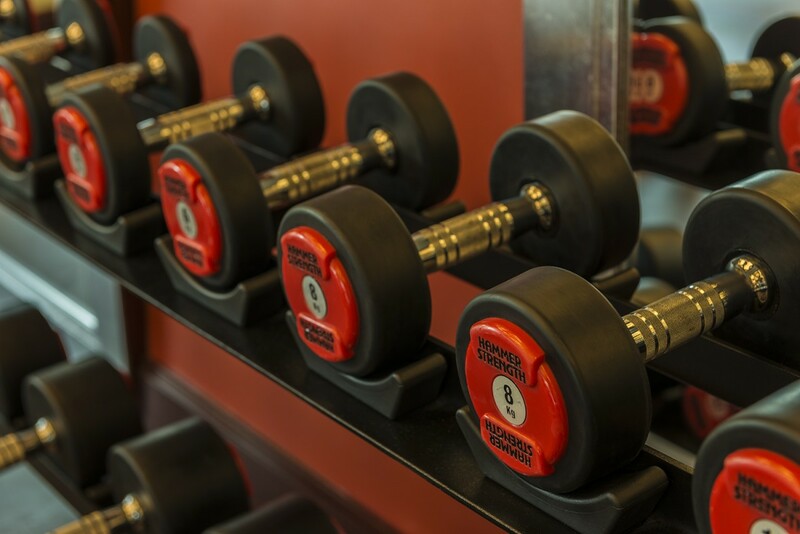 Complimentary beach kits are available to the hotel guests at the SoFIT fitness center reception. 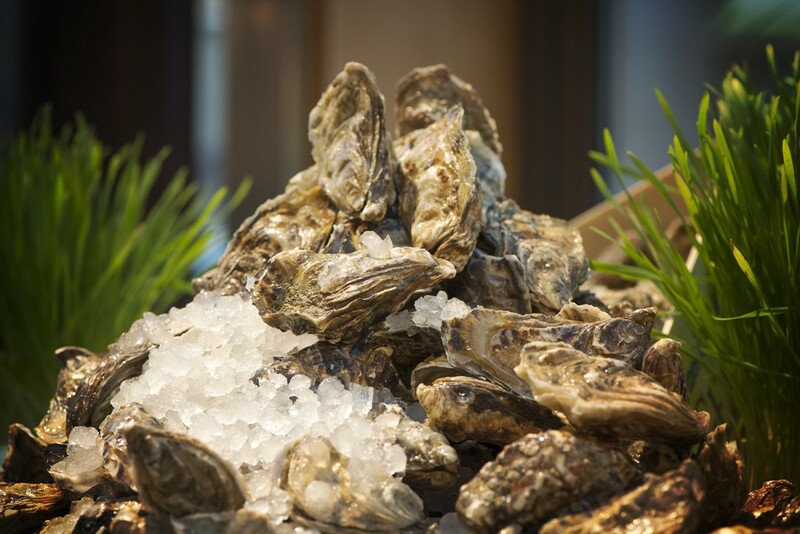 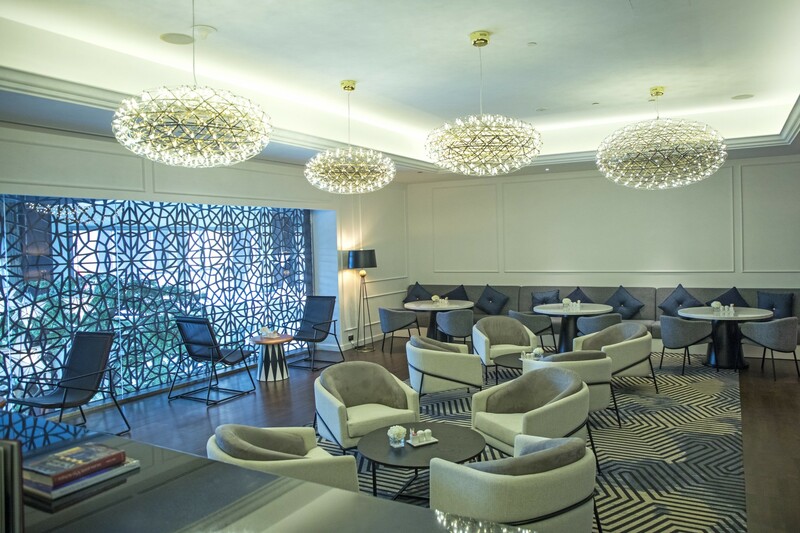 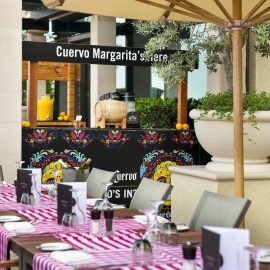 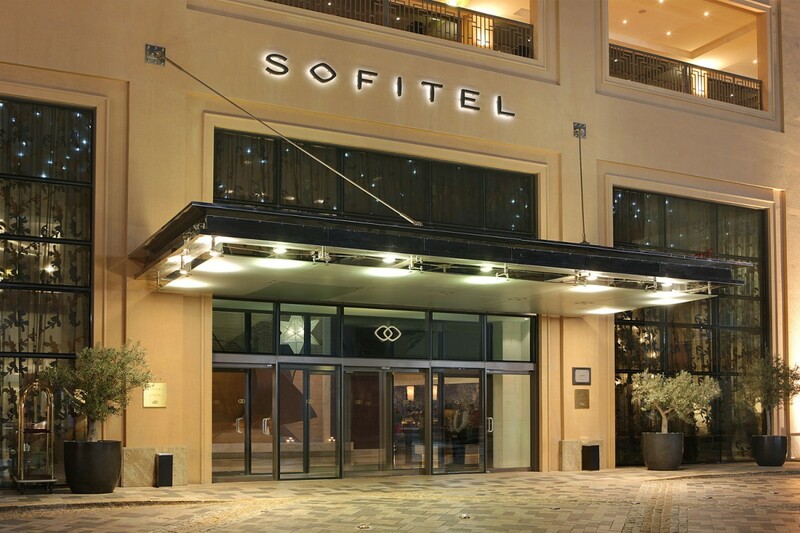 Each Sofitel draws inspiration from local culture and tradition while celebrating innovation and the French art de vivre to offer a one-of-a-kind, luxurious hotel experience. 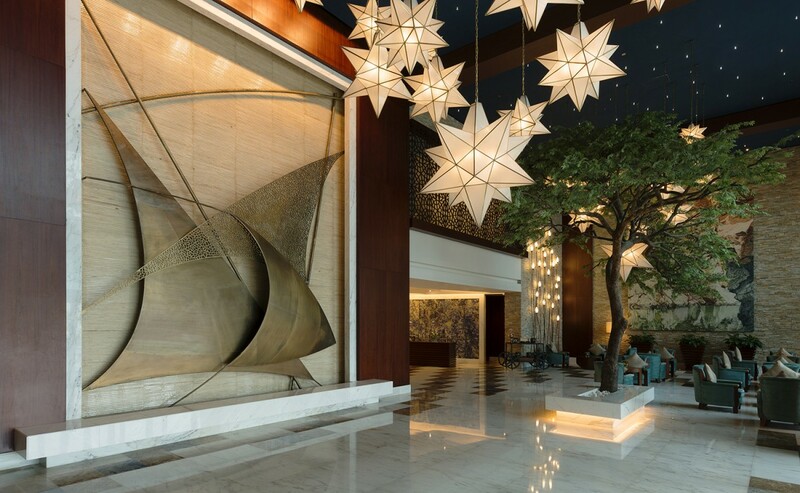 From design details to exhibitions and events, discover what makes our hotel so unique. 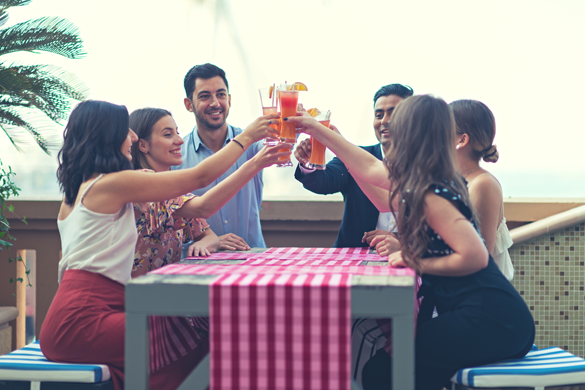 A joy that’s shared is a joy made double. 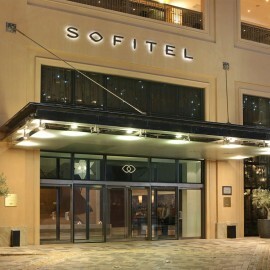 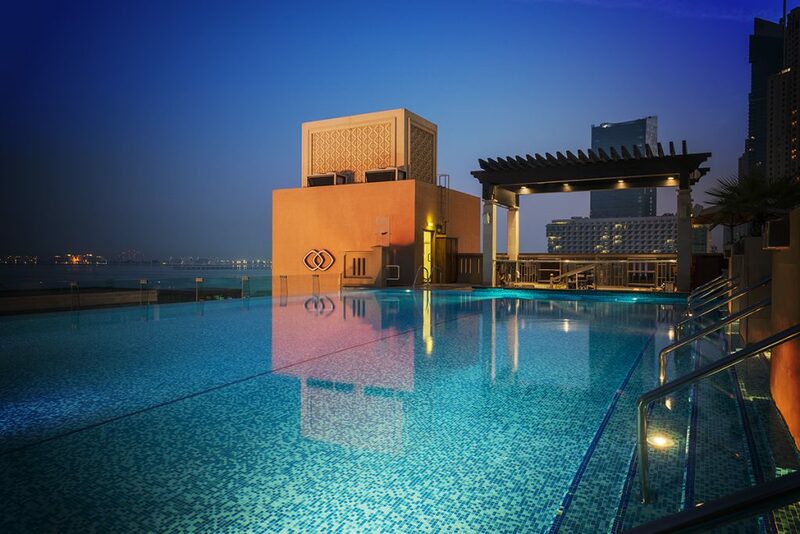 Share your photos with us and tell the world about your stay @Sofitel. 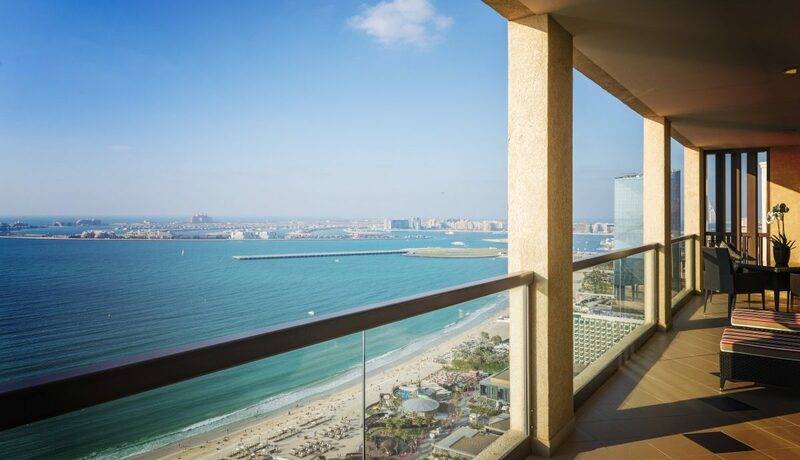 Located in Jumeirah Beach Residence, directly onto ‘The Walk’, Dubai’s most popular recreation promenade as well as the new beachfront low-rise leisure and retail destination ‘The Beach’. 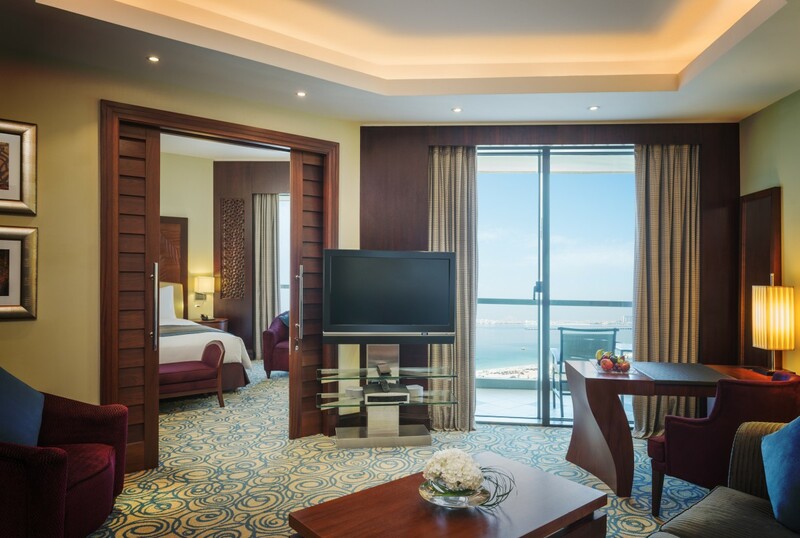 From Dubai International Airport, take the Jebel Ali/Abu Dhabi exit, staying in the right-hand lane. 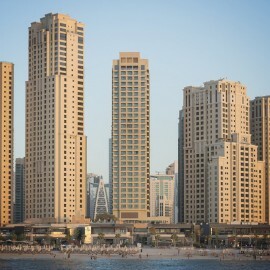 Cross Al Garhoud Bridge, heading towards Jebel Ali/Abu Dhabi for about 30km. 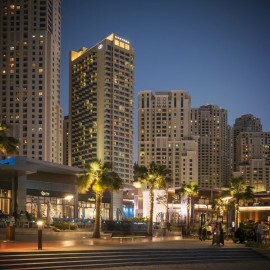 Take exit 32, Dubai Marina/Jumeirah. 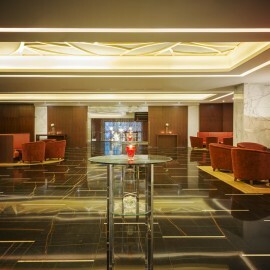 After the second traffic light, go left at the T-intersection. 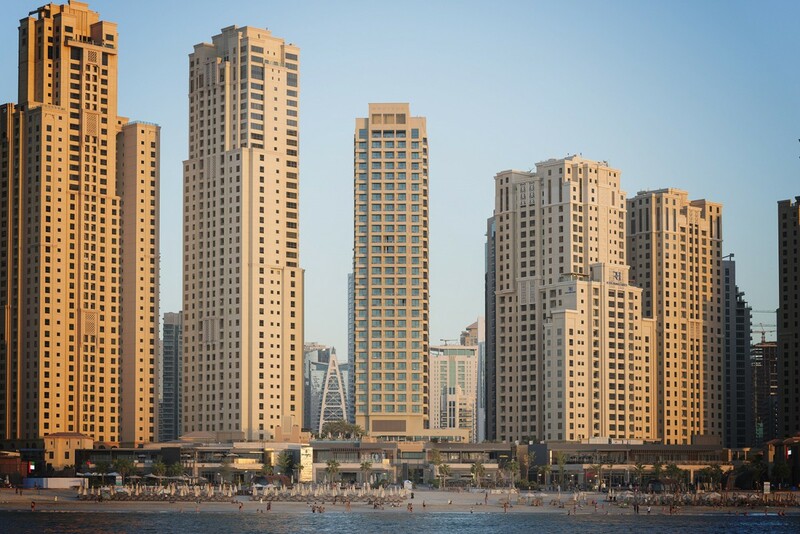 Follow the JBR signs, make a right towards the beach and left on The Walk. 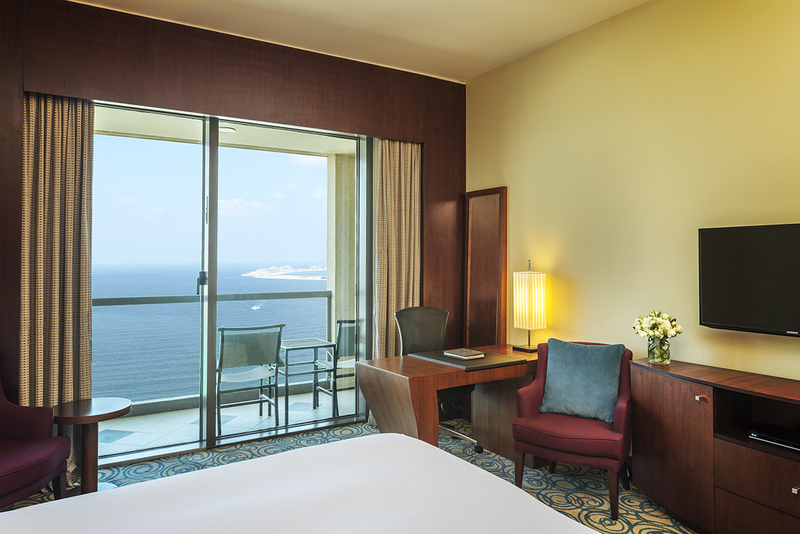 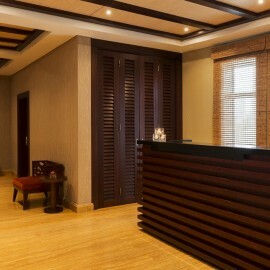 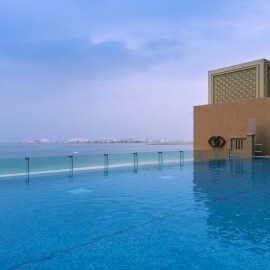 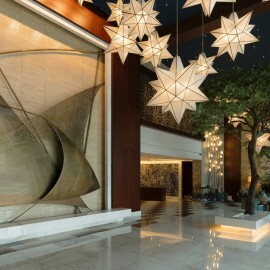 The hotel is located in the second half of Jumeirah Beach Residence facing ‘The Beach’. 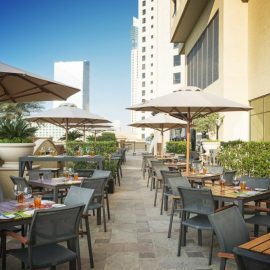 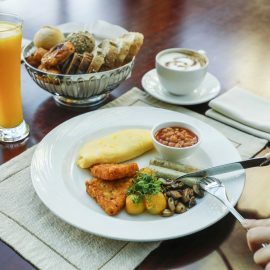 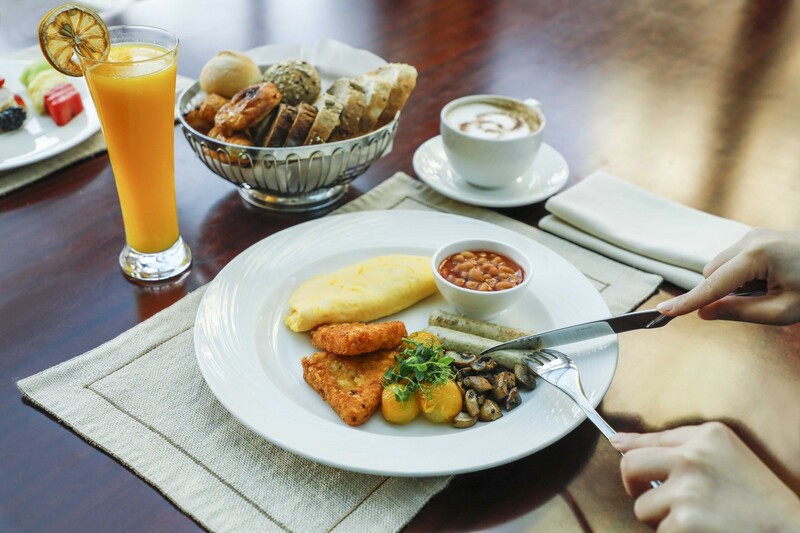 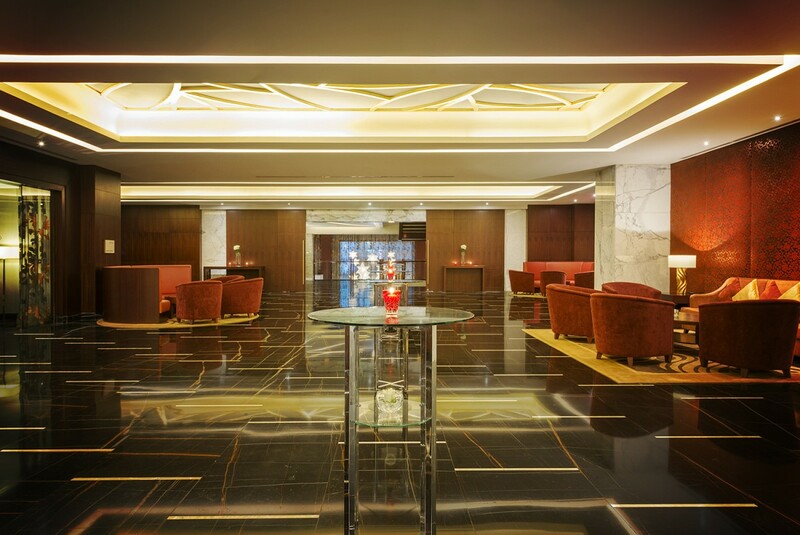 The hotel is next to Dubai Tram Station Jumeirah Beach Residence 2 and at a 10-minute walk to Jumeirah Lakes Towers Metro Station to visit famous landmarks and attractions. 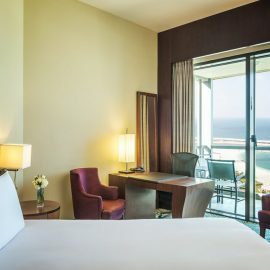 Business hubs Jebel Ali Free Zone, Dubai Media City and Dubai Internet City are nearby, positioning the hotel business and leisure guests at the heart of this extraordinary destination.